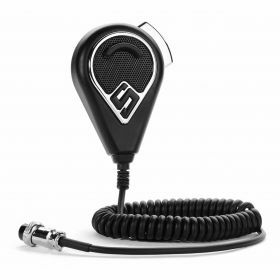 Black 4-Pin dynamic noise cancelling microphone with 9 foot cord. Features rugged ABS housing, ergonomic design, chrome plated microphone key, steel mesh grill with chrome accent. 1 year limited factory warranty. Clam packed.